The term “wheelchair van” gets used quite often, because for many years, there were very few accessible family transportation options, mostly based on one reliable model of conversion van. The style remained for many years, because those vans offered freedom & flexibility needed by many families with wheelchair transportation requirements. The entire family could go to the same place at the same time, and what a wonderful gift that is! That also meant, however, that the entire family had the same transportation experience. There was a balance between comfort and mobility, and the comfort was almost always the sacrifice that was made. Then, something changed. It’s no longer “one version of van but you get to pick the color”. There are mobility packages on sport utility vehicles now instead of only van models. This makes it possible to combine, for instance, the looks of a new Ford Explorer with improvements in mobility. 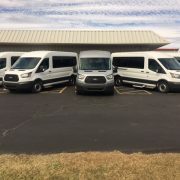 For those that prefer vans, new models are now available that combine the mobility of the old-school vans with the sleek luxury of the newer models of minivans. 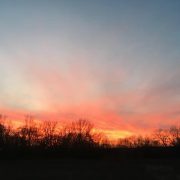 Thanks to companies like BraunAbility and Vantage Mobility International (VMI), mobility solutions have come a long way in creating an experience that is enjoyable for the whole family. 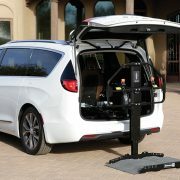 For example, both BraunAbility and VMI offer the 2017 Chrysler Pacifica with many improvements for the wheelchair user, including spacious, 360-degree maneuverability, wider door openings and a power kneel, self-lowering suspension. The VMI Northstar and BraunAbility side-entry ramp conversion makes it easy for the all passengers to enter the vehicle and VMI even offers interchangeable front seats that allow for the wheelchair user and a passenger to change places quickly and easily. BraunAbility offers a Chrysler Pacifica with rear wheelchair entry for smaller families that want to combine the mobility of a conversion package with the sleek profile of the Pacifica. 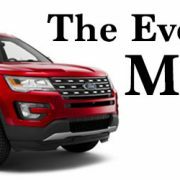 The improvements to mobility are impressive for sure, but there is one part of the evolution of these vehicles that should not be overlooked, and that is the attention to other members of the family. 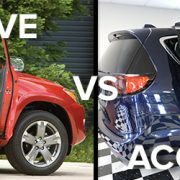 We discussed the differences between the VMI and BraunAbility packages for the Chrysler Pacifica because the features of each suit a unique set of needs. But this evolution of choice has made it possible to find the vehicle you like, not just what can meet your mobility requirements. 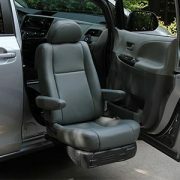 There are mobility packages in the Toyota Sienna, a very highly rated model of minivan. In addition, BraunAbility has introduced a side-entry conversion of the Ford Explorer. And, coming soon, from VMI, is a side-entry conversion of the Honda Pilot. NOVA Facilitates Financial Assistance for Family In Need of Mobility Vehicle.